Luxe Fitness Clubs are full service state-of-the-art facilities offering over 120 pieces of the finest equipment available, featuring equipment by Life Fitness, Life Strength, Hammer Strength, Bodymasters, Cybex, and Iron Grip. Luxe Fitness Clubs offers a wide variety of Group X classes including spinning, pilates, yoga, muscle sculpt, zumba, core training, Ab Attack and much more. Corporate Benefits: We tailored our corporate benefits package to serve the business community by enhancing each company’s benefits/wellness program. The addition of a corporate fitness plan strengthens and improves the health, well being and productivity of employees. Company Purchase Plan: This is the most cost effective plan offered. It allows employees to enroll in membership which is prepaid by the employer. Their employer maintains the option to be reimbursed through employee payroll deduction. We participate in the Foxwoods Wellness Plan and Blue Cross Blue Chip program. 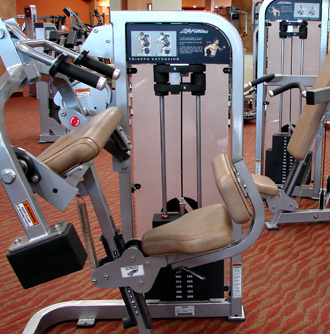 For more information about our fitness centers or corporate packages contact us today.